Turn Your Life Around in 2019! If you’re determined to change your health and fitness for the better in 2019 then we can help! 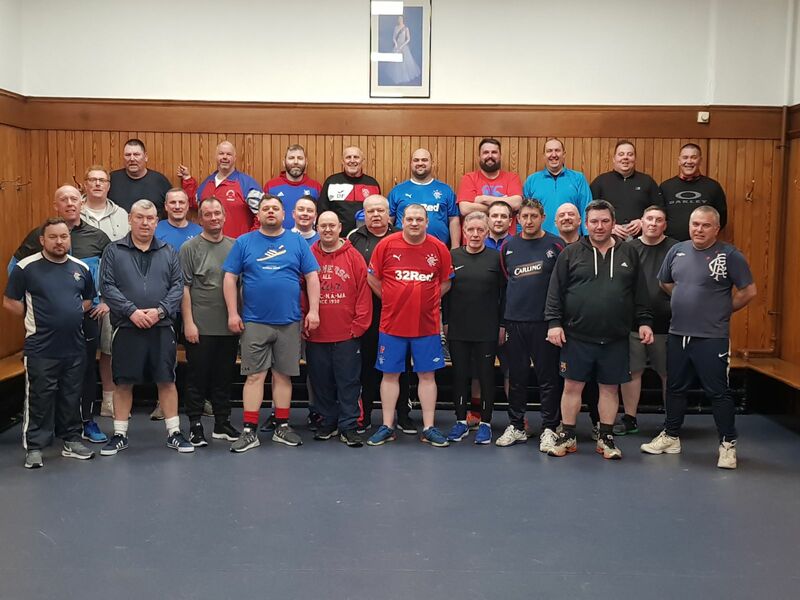 Our Football Fans in Training programme has changed lives for the better, and this is your chance to take the first step in turning your life around too! 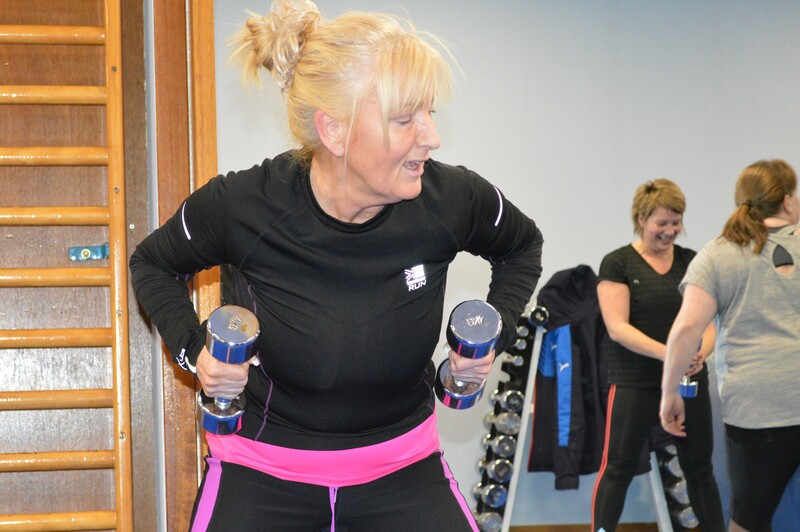 We’re looking for both men and women, aged 35 – 65, to sign up for one of our FREE 12 week programmes that can help kick-start your path to health and fitness. Participants work with our football and health coaches one evening per week, training and learning about fitness and wellbeing. 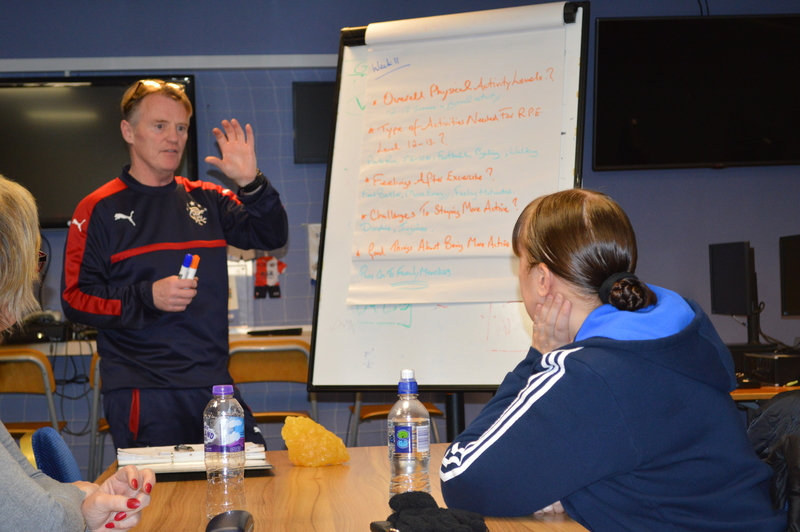 Plus every participant is issued with a Rangers training top so they’re part of the team. We’ll be with you every step of the way to keep you motivated and help you change your lifestyle – all you have to do is take that first step and sign up! If you meet the criteria below, contact us with your details to get started. 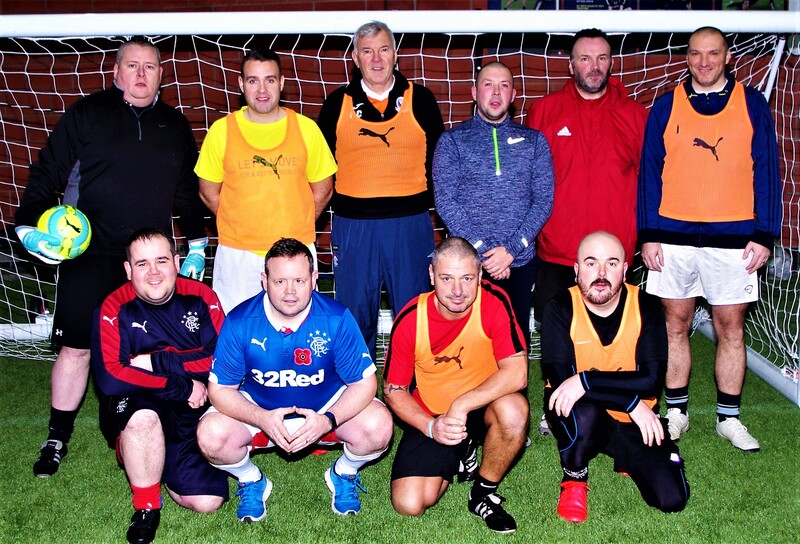 It’s a great opportunity to improve your fitness, lose weight, and train with fellow supporters at Ibrox. We are also running for the first time ever a new Family FFIT course which is aimed at fathers, or father figures, of kids aged 7-11. Fathers will take part in a normal FFIT programme, but there will be an additional four week course added to the end of the programme for fathers and their kids to take part in together, giving men a chance to inspire their kids to also get more active and cut down on junk food and screen time – whilst having fun together at the club. Recent participant John Coleman was able to stop medication for his diabetes thanks to the change in his lifestyle, whilst Allan Jack, Colin Dykes, Derek Russell and Iain Jamieson all lost double figures – a total of 47 kilos between them! 49 participants across recent groups lost a total of 269.6 kilos (42 stone 6lbs) and 323.5cm disappeared from waist lines. Participant Brian Hendry commented, "I enjoyed the course 110% and the advice encouragement and professionalism of John and Willie was appreciated by myself and I know the other lads. So thanks for the opportunity for taking part in the course." 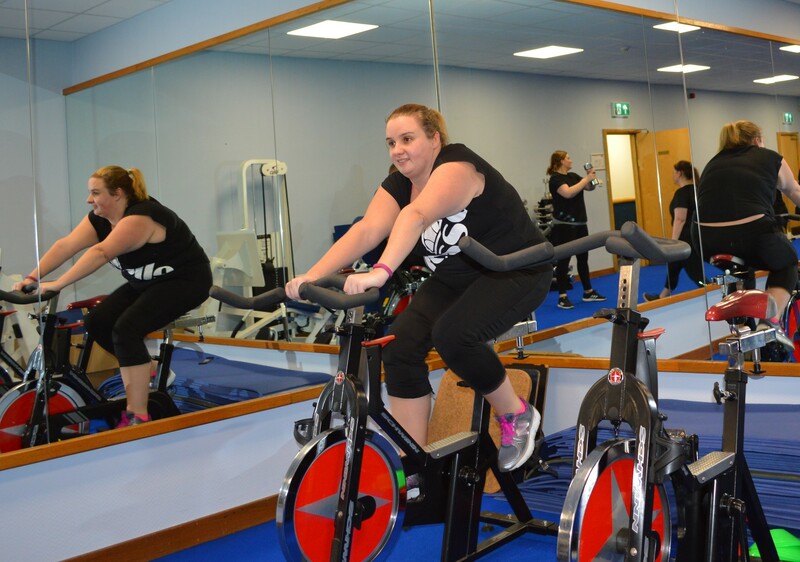 The 12 weeks programme includes an initial health check and introductions on the first session, with subsequent sessions being split between classroom health education and physical activity sessions. Men’s Fit Fans – we have 2 courses on offer starting on 4 and 8 February 2019. The Monday course will run from 5pm – 7pm and the Friday course from 6pm – 8pm. 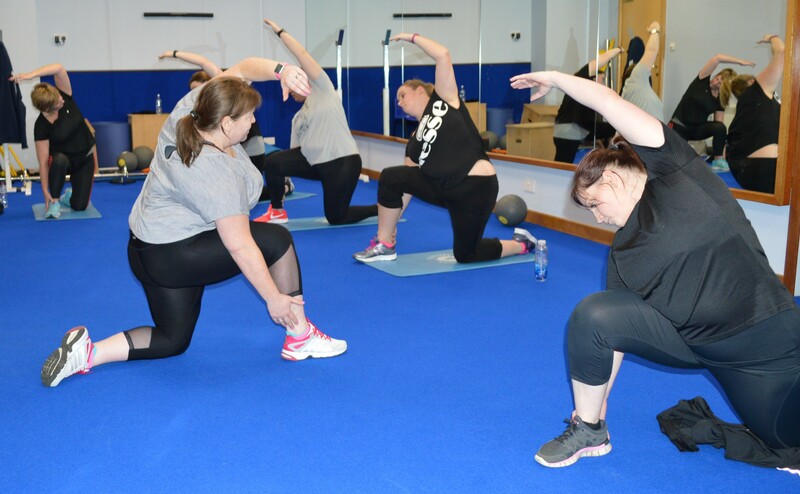 Women’s Fit Fans – starts Tuesday 5 February 2019, 5pm – 7pm. We also have a new Family FFIT programme on Thursday nights, starting on Thursday 7th February and running between 5pm and 7pm. If you are still not convinced, take a look at some of these success stories from previous programmes. David Kirkwood lost 3 1/2 stone and Craig Denham went on to lose a total of 6 stone after radically changing his lifestyle.